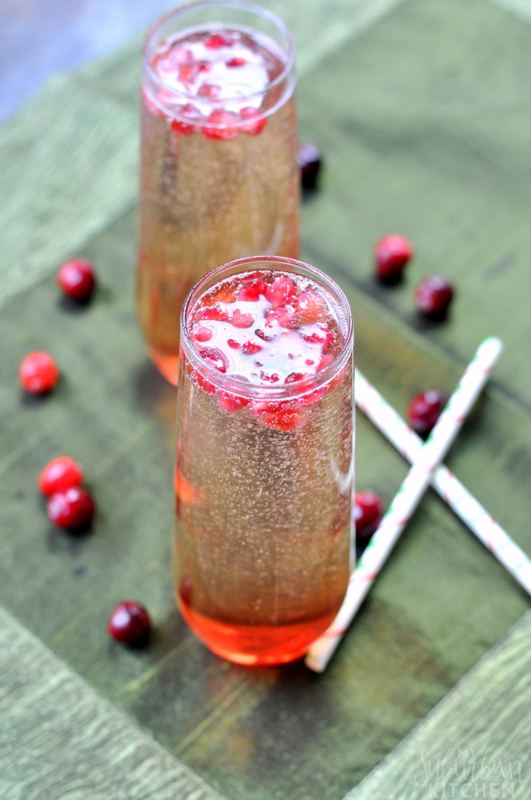 Pomegranate Rosemary Mimosa - A Refreshing Mimosa Recipe! 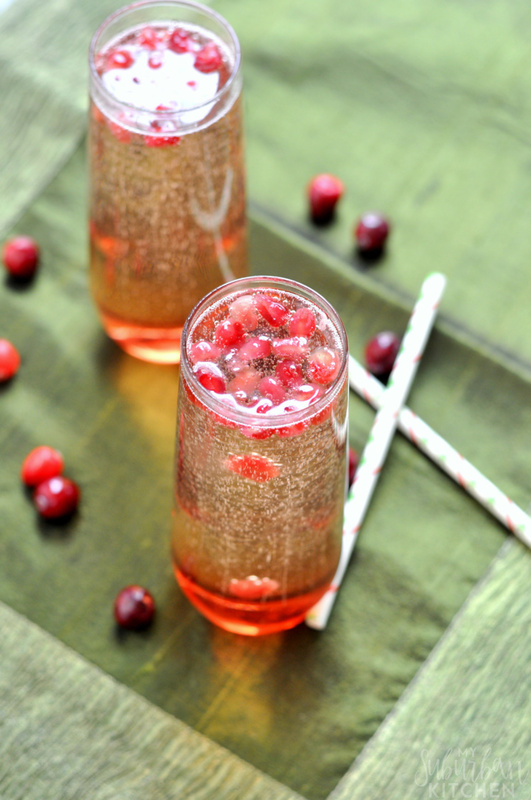 Be ready for all of the holiday festivities this year with this simple but elegant Pomegranate Rosemary Mimosa! It is perfect for brunch, lunch or parties! This time of year is packed with all kinds of get togethers. From brunches to dinners to happy hours, our schedule is totally packed with events where we meet up with friends, family and/or co-workers. Of course, our annual holiday party is fast approaching too so I am working on the menu in the free time I have. One new thing on the menu this year: a Pomegranate Rosemary Mimosa. This prosecco mimosa is so delicious and really simple to make. This recipe shows you exactly how to make a mimosa! I love the complexity that the rosemary, simmered in the pomegranate juice, adds to the drink. Choose a prosecco if you want it a little sweet or go Brut if you prefer it more on the dry side they’re both the best champagne for mimosas. Either way, everyone will love this delightful cocktail all through the holiday season and beyond! I told you this drink was so simple! I love sparkling wine and Champagne any time of year but it feels perfect for the holiday season so I try to have all my cocktails have at least a little in it. 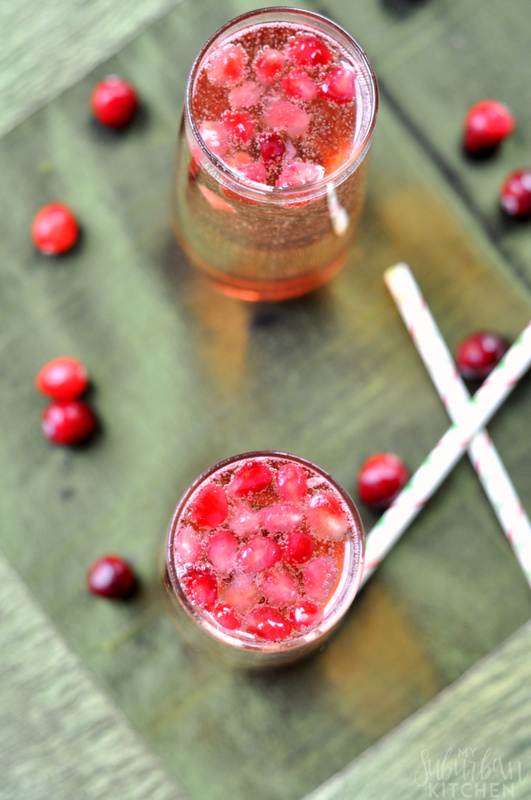 Another great option for holiday parties would be this orange pomegranate sparkling punch! It can easily be made non-alcoholic too for those underage or driving. What are your favorite holiday traditions? Do you have a favorite flavor or drink that you like to enjoy during this time of year? In a small saucepan, combine pomegranate juice, sugar and rosemary. Bring to a boil and then reduce the heat to simmer. Simmer for 15-20 minutes or until the syrup coats the back of a spoon. Remove from heat and let cool. Note: syrup will thicken as it cools. 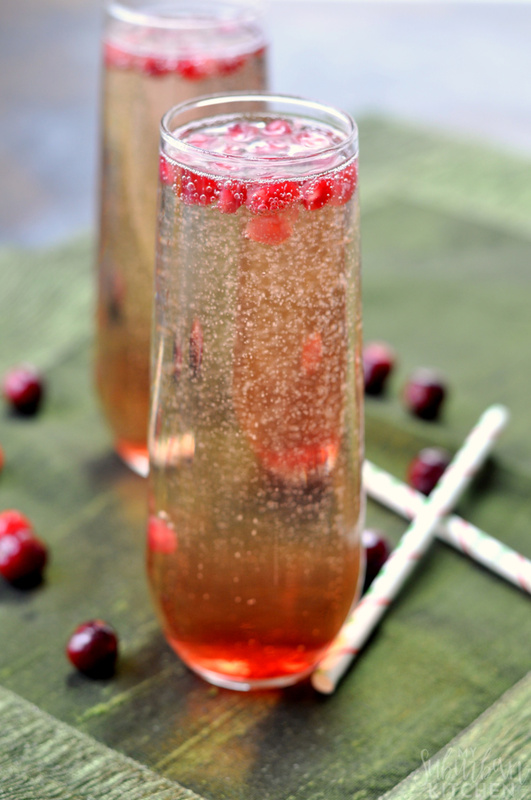 Add 2 Tbsp pomegranate syrup to a champagne flute. Top with sparkling wine and pomegranate arils. Enjoy!